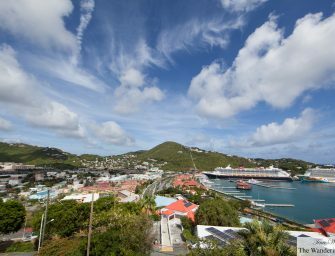 [Translate] View of various islands and a part of town at Charlotte Amalie, St. Thomas Last week the US Virgin Island Department of Tourism took me along for the fun, whirlwind press trip to visit two of its three islands — St. Thomas and St. John — with seven other digital storytellers. For both of these islands, you can’t help but be enchanted by the breathtaking views of the coastlines, the crystal sapphire blue skies, and the swirling or puffy white clouds. The things I’ve come to realize, from a native New Yorker’s perspective, is that everyone runs on island..